There is a large body of research in psychology, sociology, economics and organizational behavior that concludes that we miss out on numerous opportunities simply because we don’t ask. These opportunities run the gambit from professional to personal, in daily interactions with employers, employees, family and friends and with our very significant others. 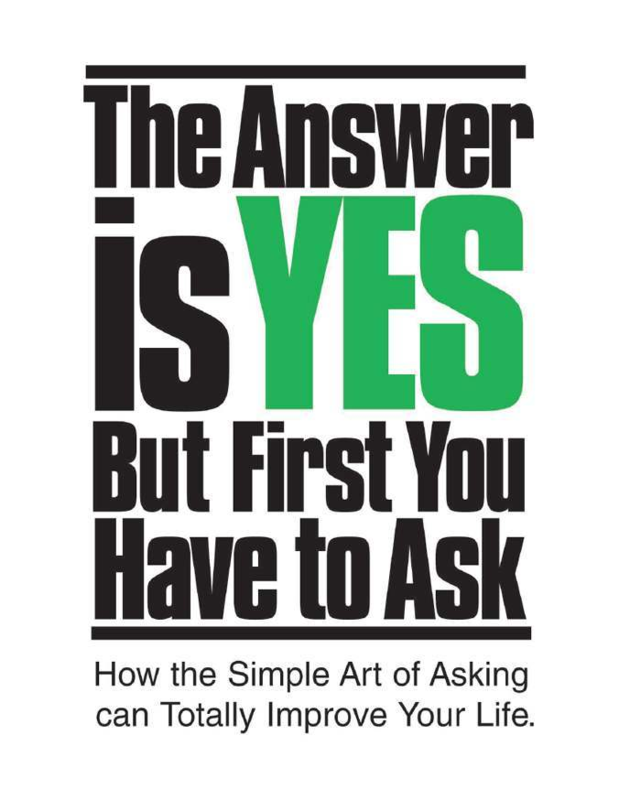 The craft of asking will make your life better, your business more productive, your relationships more fulfilling, knowledge more accessible and possibilities more frequent. Asking creates opportunities. Ask for feedback and then inquire as to what you must do in order to get what you want. Don’t stop at “no” – consider it to be just the beginning. View it as the beginning of a negotiation and ask what it would take to get a yes. response stop you from asking. In other words, don’t say no for them. Assume that you’ll get what you ask for. Focus on and listen to the answers. Answers serve you little benefit unless you truly hear them. Sharpen your listening skills to ensure you understand what’s actually said. Knowledge alone is not enough; seek to turn it into action. With today’s internet capabilities, knowledge is abundant. Put your new-found knowledge to good use by taking action with it.